Very nice hosts and I would warmly recommand having dinner as the host is an extraordinnary cook and os knowledgeable about food and wine. The perfect destinantion for foody. Gites Rozies is a charming older property packed with interesting features, lovely outside space and pool and terraces for family meals. The area is very quiet and peaceful but with many local amenities a short distance away. We have a young family with three children 9,5 and 5 and the kids had a fantastic time - the part of the Gite we stayed in had spacious family dining and cooking area and two great sized bedrooms with one en-suite and a decent sized shower room. The property is old and peaceful - if you can't be separated from modern technology and don't want to spend time talking to your loved ones and enjoying the tranquility then this may not be for you! We were a family of four arriving by bike. Our youngest daughter had a puncture so we were late. Our hosts could not have been more helpful. They drove out to meet us and pick us up, bike and all. Later, they drove me into town to a repair shop and ended up fixing the bike for me. As a bonus, the food was superb. Finally, we decided to stay on an extra night and as I couldn't make full payment by bank transfer, they trusted me to send the balance on by cash. We kwamen drie uur te vroeg aan, maar dat maakte niets uit, De ontvangst was joviaal met een joviaal gesprek en een koel glas rosé. Jolie bâtisse , surface confortable pour 6 personnes, cadre sympa. 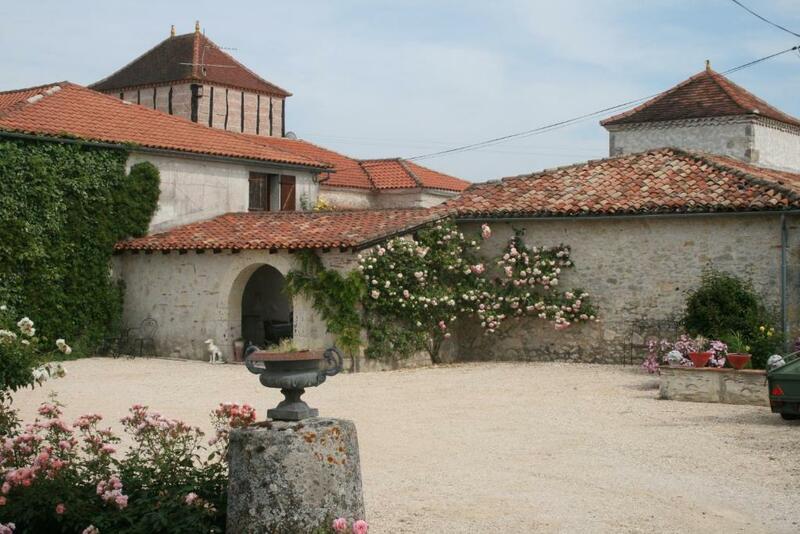 Set 1.2 mi from the medieval village of Dunes, 11 mi from Agen, Gîtes Rozies features a seasonal outdoor swimming pool. Montauban is 30 mi from the property. Free WiFi is available throughout the property and there is free parking on site. There is a seating and dining area in each cottage. They also come with a kitchen, equipped with an oven, a microwave, refrigerator and coffee machine, and a private bathroom with a shower or bath. At Gîtes Rozies, guests have access to a shared living room with a TV, as well as a library. Subject to availability, free use of bicycles is available at the property and the area is popular for cycling. 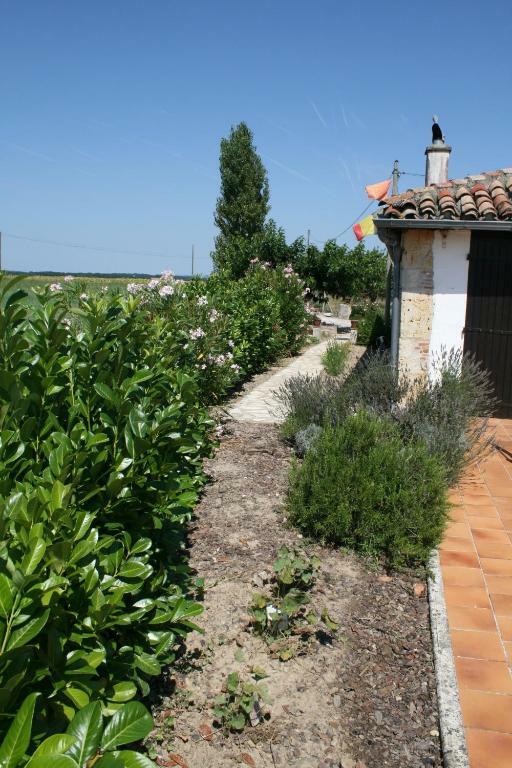 Valence d'Agen is located 9.3 mi from the cottages while Agen Train Station is 12 mi away. When would you like to stay at Gîtes Rozies? This holiday home has a fully equipped kitchen and a living room with a sofa bed. Guests can enjoy the covered terrace and outdoor pool. This holiday home features a dining area, microwave and barbecue. Deux bâtiments, une piscine extérieure avec abri motorisée. Des espaces de stationnement privé. Les gîtes comprennent un coin repas, un coin salon et une terrasse avec barbecue. Les cuisines sont bien équipées. 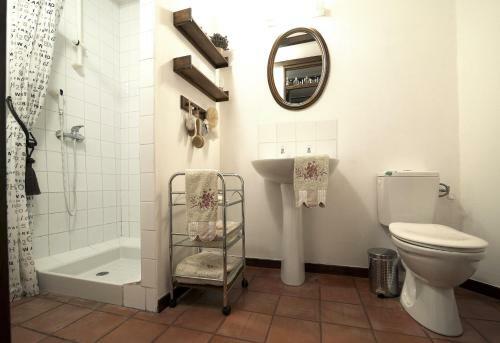 Salles de bains privatives par chambre. Jardin de rosiers, piscine. Pratiquer ping-pong, pétanque, randonnée à vélo et à pied, golf, équitation. Des dégustations de vins chez les producteurs. Regarder télévision satellite ou lire un livre, provenant de la bibliothèque dans le salon commun. House Rules Gîtes Rozies takes special requests – add in the next step! A EUR200 damage deposit is required on arrival (around USD224.87). This deposit will be fully refunded 14 days after check-out, as long as there isn't any damage to the property. A prepayment deposit via bank transfer is required to secure your reservation. The property will contact you after you book to provide the bank transfer instructions. You can bring your own sheets and towels or rent them on site. Please inform Gîtes Rozies of your expected arrival time in advance. You can use the Special Requests box when booking, or contact the property directly using the contact details in your confirmation. A damage deposit of EUR 200 is required on arrival. That's about 224.87USD. This will be collected by bank transfer. You should be reimbursed within 14 days of check-out. Your deposit will be refunded in full by bank transfer, subject to an inspection of the property. We were three adults travelling together, we booked 2 rooms and were given one room and a sofabed, with the only bathroom being in the bedroom. The hosts say this is a fault with booking.com listings, (and agreed that the booking was misleading - saying this was booking.com's fault) but they were not surprised that it happened, in fact they seemed to expect it. Given this, you would think that they might communicate with us beforehand to check or clarify. I have since looked at reviews on tripadvisor (in French) and seen that this has happened before. We had no choice to accept because we'd already paid upfront a non refundable payment (and now we know why). Added to this was a 200 euro deposit for a one night stay before we'd even put our bags down, and a constant threat of being fined if we didn't thoroughly clean up ready for the next guests. We were pressured to eat with them, as in pay them to cook us a dinner which they were sharing with the "friends" they had staying over and who were also in the second room we had thought we'd booked (the booking states 2 bedroom cottage - the door to the second bedroom was blocked off with a chair). We were also quite aggressively quizzed several times about if we'd brought out own linen. They clearly didn't believe we had, despite the literature explicitly stating we either hire it or bring our own - suggesting that bringing your own is normal and also that "bring your own" is a valid option. (Funny how clear the rules are on cleaning up the apartment, bringing your own linen, paying hefty deposits for ONE NIGHT stays, compared with how unclear the wording is about a booking for a "2 -bedroom cottage"). If the booking.com listing process is at fault then that is one thing, but the main host made us feel stressed, uncomfortable, and, to be honest, ripped off. He just wanted our money and didn't care about anything else. Nothing really - the only (miscalculation on my part) problem was that many of the areas we planned to visit in the area were a little further away than I realised but this is hardly a problem of the property, more the visitors' geography!